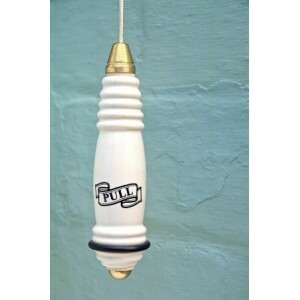 An extremely authentic reproduction of a traditional ceramic light pull - right down to the 'PULL' lettering & protective rubber ring. 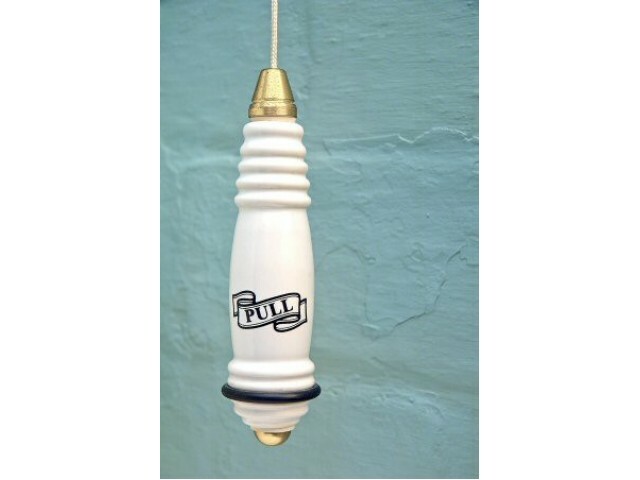 Available with or without the word 'PULL' just make your choice from the drop down menu. Matching cistern pulls also available. Made for us in the UK.